Gothic, Vampire, Psychobilly, Horror Accessory. Livin up your shoes with these unusual shoe clips, no need for new shoes just add clips! Vamp Out! 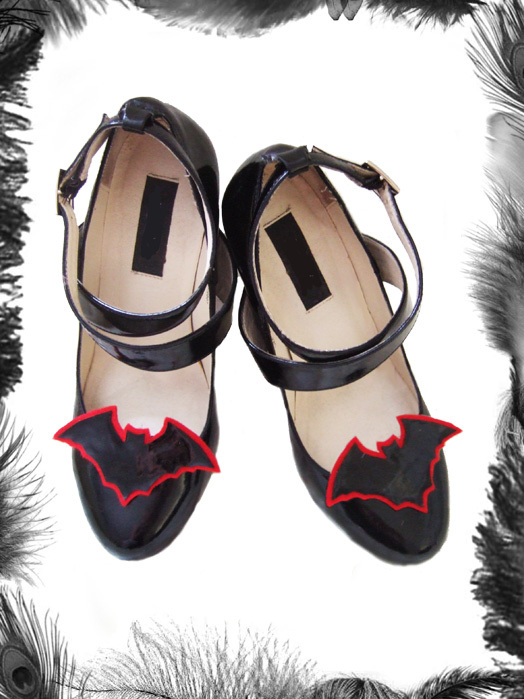 Bats clip onto shoes with a strong metal clip.